Over the past decade, JKash (whose birth name is Jacob Kasher Hindlin) has established himself as one of the most successful and prolific songwriters in pop music. Starting in 2009 with a hit for Cobra Starship and in 2010 a hit for Kesha, JKash has co-written an impressive string of Top 10 hits, chart singles and multiple album cuts. For most songwriters, securing one placement on a major artist’s album is a solid achievement. However, JKash regularly lands several cuts on albums by high-profile artists. For example, he co-wrote 11 of the 13 songs on Charlie Puth’s new album, Voicenotes. He also co-wrote seven of the 10 songs on Maroon 5’s latest album, Red Pill Blues. JKash has now co-written nine songs that have become Top 10 hits on the Billboard Hot 100 chart. These are: “Good Girls Go Bad” (by Cobra Starship), “We R Who We R” (Kesha), “Wiggle” (Jason Derulo), “Sugar” (Maroon 5), “Perfect” (One Direction), “No” (Meghan Trainor), “We Don’t Talk Anymore” (Charlie Puth feat. Selena Gomez), “Don’t Wanna Know” (Maroon 5 feat. Kendrick Lamar) and “Attention” (Charlie Puth). 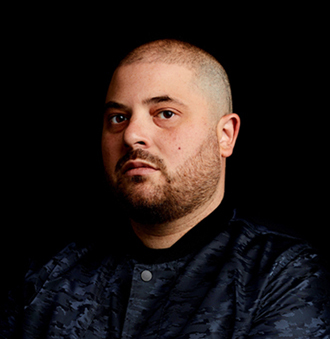 In addition, JKash has co-written a number of Top 40 hits including “Me Too” (Meghan Trainor), “How Long” (Charlie Puth), “Wait” (Maroon 5) and “Swalla” (Jason Derulo). He’s co-written notable chart singles such as “I Got You” (Bebe Rexha), “No Excuses” (Meghan Trainor), “Guys My Age” (Hey Violet), “I Really Like You” (Carly Rae Jepsen), “Ain’t Your Mama” (Jennifer Lopez), “Here’s To Never Growing Up” (Avril Lavigne), “Round And Round” (Selena Gomez & The Scene) and “Slow Motion” (Trey Songz). As another indicator of his songwriting output, JKash has co-written these new singles: “The Way I Am” (Charlie Puth), “Have It All” (Jason Mraz) and “Connection” (OneRepublic). We are pleased to do this new Q&A interview with JKash. He discusses his recent collaborations with Charlie Puth, Maroon 5, Meghan Trainor and other artists. He also talks in-depth about his songwriting process. Note: We previously did a 2016 article with JKash, where he recalled how he got started in the music business as a rapper, and then built his career as a songwriter. DK: You co-wrote most of the songs with Charlie Puth for his new album, Voicenotes. Can you talk about your collaboration with Charlie? JKash: Making Voicenotes with Charlie was a dream come true. He is by far one of the most brilliant writers and producers there is, and would basically bring me the templates for the songs. 9/10 times the song title and concept were included. I had the privilege of helping him suss out the lyrics and the storytelling. DK: I like your song “Attention,” which you wrote with Charlie. How did the two of you create this song? DK: I’ve read that your strength is writing melody and lyrics, and particularly creating lyric concepts. How do you like to come up with concepts and lyric ideas for your songs? DK: You’ve co-written hits with Maroon 5 hits. Can you talk about how you co-wrote their hit, “Don’t Waana Know”? DK: You’ve written several hit songs with Meghan Trainor. Besides her single “No Excuses,” did you collaborate with her on other songs for her upcoming album? JKash: Yes, I did! We also wrote ‘Let You Be Right,’ ‘All The Ways’ and a few more that you’ll hear whenever she puts them out. DK: You’ve been successful at writing hits with both male and female artists. Is it fairly easy or is it a challenge to write with an artist, and come up with concepts that they’ll be able to relate to? DK: You seem to be prolific as a songwriter. What’s your typical work week, in terms of writing sessions and studio work? DK: Do you have a favorite story, about how one of your hits was written? DK: For new songwriters who want to break into the music business, is there any advice or tips you can give them? JKash: Listen to Ross Golan’s podcast, ‘And The Writer Is…’ I’ve done an episode and a bunch of amazing artist and writers have as well.